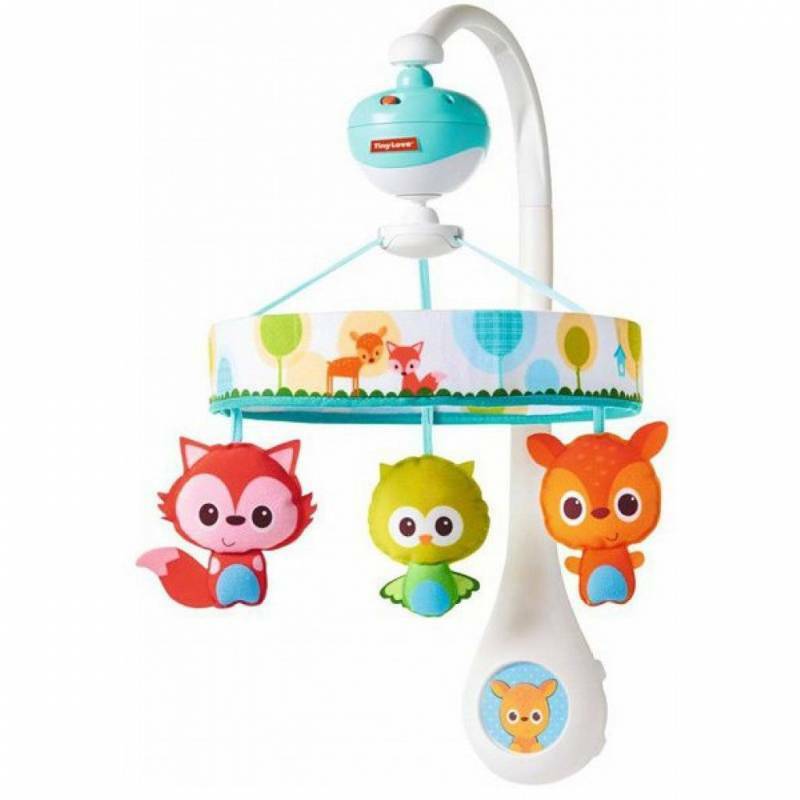 The Tiny Love Friends Lullaby Mobile has soft colours, cute animal figures and continuous lullabies to help your baby fall asleep. Excellent value for money. Let your baby enjoy the soothing motion and soft design while lying in the crib and listening to the continuous music. Play the mobile's melodies at bedtime to help your baby fall asleep by himself/herself. Enjoy hearing your baby coo and babble as he/she looks at the cute animal figures overhead while you enjoy a bit of me-time. The soothing music and steady movement create an atmosphere that calms babies and helps them fall asleep more easily. The smiling characters’ large eyes and the mobile’s slow motion along with the diverse musical selection stimulate your baby’s sense of sight and sound.